Our new website www.realestateforsaleinitaly.com is now in twelve languages. If you are looking to purchase property in Italy, a villa in Tuscany or a house in Umbria this is the place to be! 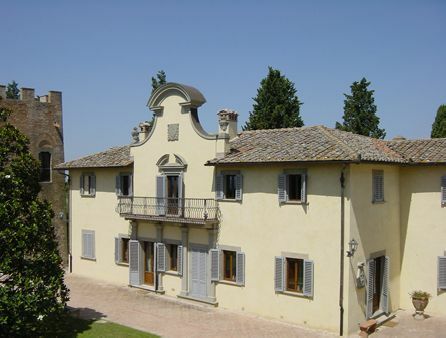 Have you ever wanted to own your own castle in Italy? Today we saw a stunningly located ruin of a 13th century castle for sale in Umbria, built in an octagonal shape, with 360° views over the Tevere Valley all the way to Assisi and Monte Subasio. The castle has 10m high walls and various buildings to be recuperated, including a 400sqm farmhouse and 2 churches. The castle has been ruin for over a century, and was further damaged by Allied bombing during WWII, when the position would have afforded a remarkable view of activity in the valley below. The sale comes with the whole hilltop and is has a private access road. 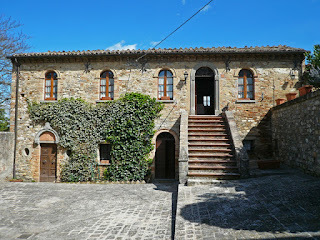 A grand Italian property restoration waiting to happen! 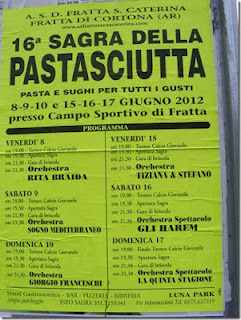 A great way to get a feel for Umbria and Tuscany and their people is to attend a local sagra (festival). 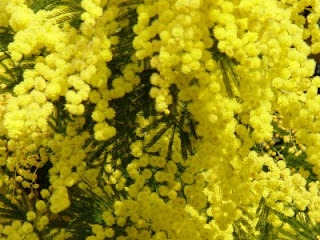 During the summer there's one taking place nearly every weekend in some small towns or villages, usually with a food theme, such as Sagra dei funghi (mushroom festival) or Sagra della zuppa (soup festival). Held in the evening, the events dish out plenty to eat and drink, and there's usually dancing, sometimes with live music. Old-school ballroom dance moves are the norm- you're likely to see couples fox-trotting or doing the tango. These are village affairs and just a few people speak English. There are no numbers to call for information. The festivals are advertised only by crudely printed signs on the side of the road. 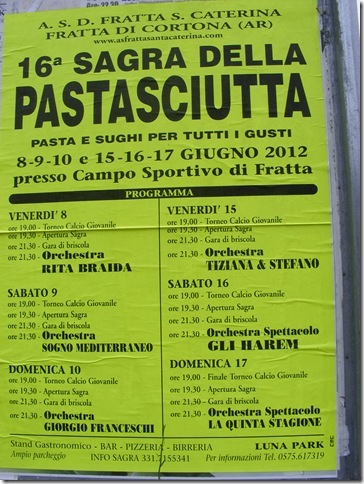 Attending a sagra is a unique opportunity to experience the Italian culture. I had a wonderful evening last night. 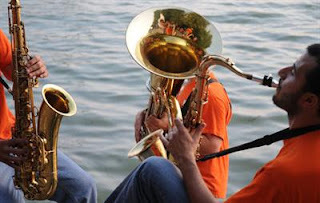 One of those typically spontaneous and unplanned experiences that happen so often in Umbia. I decided to have dinner at La Cantina in Castiglione del Lago – one of my old favourite restaurants by the Lake Trasimeno. Ate in the garden overlooking the lake. Food was, as always, excellent and I got a lovely welcome. Castiglione is magical at night... bathed in golden light, pleasantly lively and with music everywhere. I decided to go for a walk after the meal and wandered down to the Rocca where I discovered a night market and Trasimeno Blues band in full swing. There was a wonderful atmosphere. Where else would one find stalls full of everything – from colourful dresses and scarves to exquisite hand crafted silver jewellery nestling amongst majestic olive trees? The colour combinations were just amazing! During the Trasimeno Blues Festival there are different bands playing in different venues all week, so I will definitely be dropping in to some more concerts. 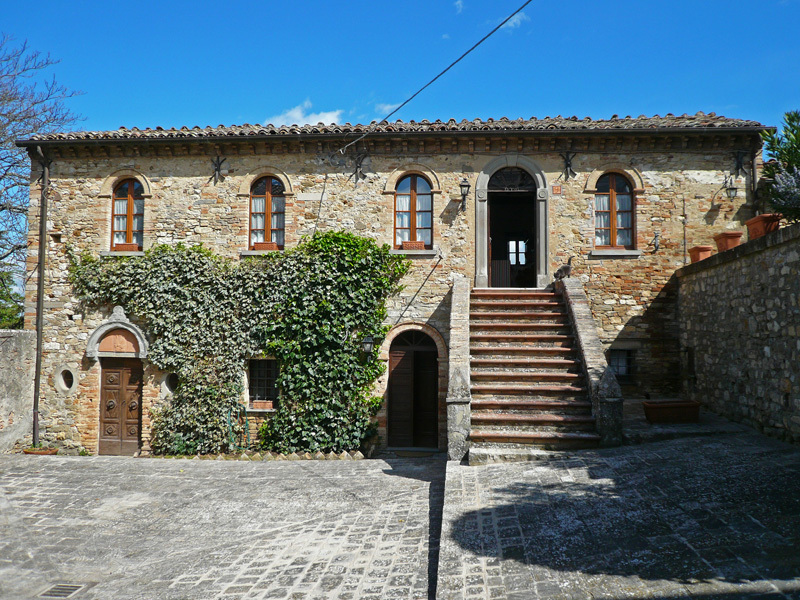 You might want to consider the romantic sunsets and Renaissance architecture of property in Tuscany. With its charming medieval hill towns and fantastic capital Florence, Tuscany has long been a favourite spot for those looking to invest in property in Italy. 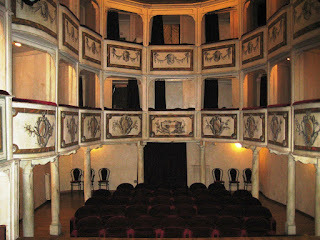 From the tiniest hamlet to the magnificent Florence property in Tuscany is diverse and plentiful. With its quiet lanes, cypress trees and creamy coloured villas; property in Tuscany never ceases to enchant. 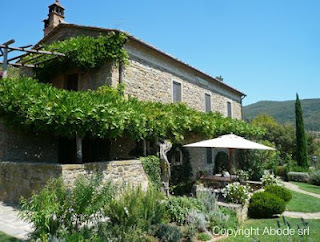 The varied landscape of Tuscany and property in Tuscany is typical of what Italy has to offer. 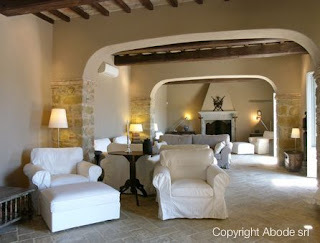 Abode Srl www.abode.it is a luxury villa provider. We pride ourselves on providing our clients with a quality product, excellent service, and great value. Abode Srl represents villas in Italy (abode all Umbria and Tuscany). Our villas range in size from 1-10 bedrooms and most are equipped with pools, maids and chefs. 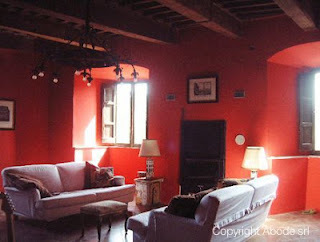 We have villas for every occasion: weddings, vow renewal parties, romantic getaways www.romanticitalianwedding.com, golf, tennis, and spa retreats, corporate outings, family reunions, and trips with special friends. Wherever your getaway brings you, Abode Srl specialists will provide you with a luxury villa and will take care of all of your accommodations and special requests. 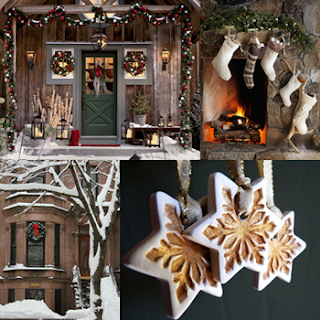 Many villas are located near restaurants, bars, tennis courts, golf courses, and historic sites. Our professional villa specialists have an intimate knowledge of not only the destination, but the villas themselves. Our agents will help you select the right villa for you. Our expert team of concierge will help you prepare for your vacation by arranging for items such as car rentals, grocery pre-stocking, and chef services; they will make sure all the details are set for your arrival. Customer satisfaction is our top priority. We aim to provide great value and service, allowing you to relax and enjoy your holiday villa. 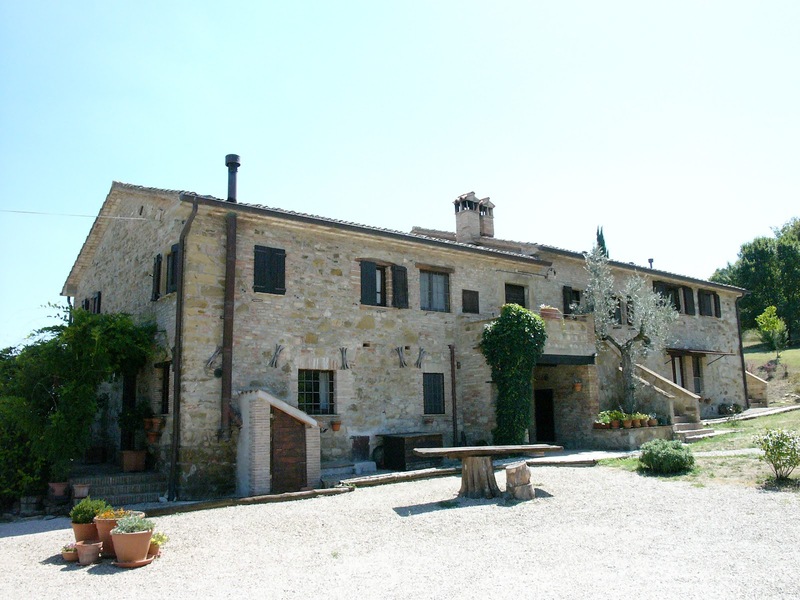 Niccone Valley Umbria Agriturismo for sale. In an open and sunny position with lovely restaurant. 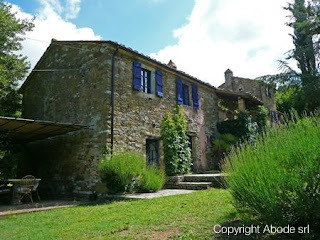 We are a leading professional property sales company with a bi-lingual team, who are not only dedicated to finding your ideal home in Italy but also to supporting you throughout the Italian purchase process. Abode offers property for sale and for rent in Tuscany, Umbria, Le Marche. 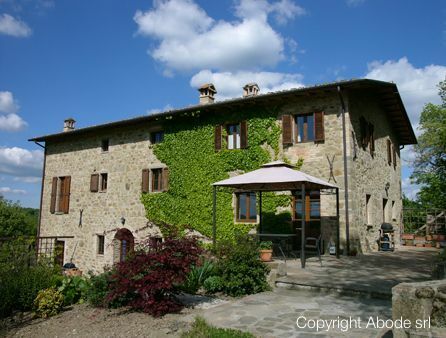 Please search our Italian property database for a selection of properties on the market. We do have access to a wider selection of properties, so please do complete our enquiry form in order for us to contact you. Our tailored service also provides you with additional support and will keep you updated on new properties coming onto the market. Investors who know where to look will still be able to find favourable opportunities to put their money into Italian real estate. Speaking to Financial News, head of property fund management at Schroders Neil Turner highlighted retail assets in the north of the country as one area to watch, adding his firm is "very happy" to consider investing in Italy's property sector at present. "I think there has been a little bit of re-pricing of real estate, perhaps not as much as everyone on the buyside would have liked, but Italy is a really interesting one," he told the publication. Mr Turner and his colleague at Schroders Mark Callendar recently came up with some advice for those considering investing in European property markets. The experts acknowledged caution is necessary when putting money into peripheral economies, like Italy, but the pair stressed certain sectors - like northern Italy's retail industry - are worth looking into due to their "fundamental attractions". A lack of supply of modern retail premises and wealthy households were cited as two reasons why this region of the country offers opportunities. 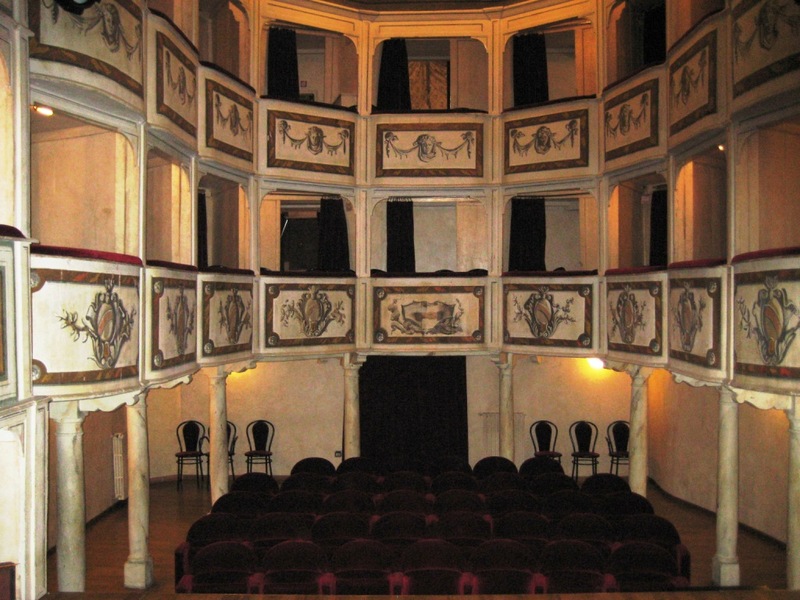 Bagheria, once the playground of rich aristocrats from Palermo, hides a fantastical secret. At the heart of the urban sprawl - amidst traffic chaos, unremarkable modern tenements and the neon facades of twenty first century commerce - lies the Villa Palagonia. From the entrance gate, the only clue to its peculiar existence is the pair of bizarre stone guardians leering at the unwary passer-by. 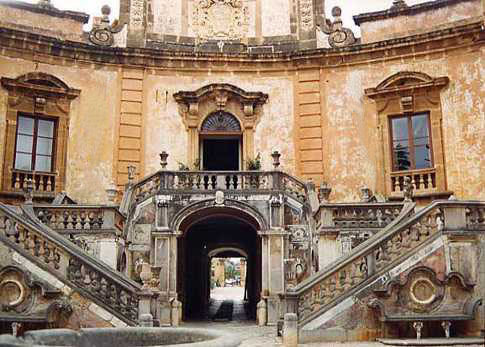 This most unusual of Sicilian villas was built in 1715 for the fifth Prince of Palagonia, Don Ferdinando Gravina. The beautiful baroque summer residence owes its notoriety to the Prince’s grandson, Francesco Ferdinando, who commissioned the sculptures and ornate decoration. The gruesome-twosome at the entrance are only a hint of what lies beyond. Having decided to ignore their mocking stare, we passed through the flower-covered gate house and strolled the gravel drive towards the villa’s elegant curves. Aware of an uncanny sensation of being watched, we turned to confront the full menagerie. What bitter phantoms of the mind could have given birth to such a panoply of characters? Mythology and reality clash to produce disfigured hybrids: a hunched-back gnome grimaces towards a scowling cherub; a periwigged aristocrat bids music from a courtier; a horned dragon with a human face watches as a young noble dances on the head of a gargoyle. The statues line the perimeter wall, but the passage of time has depleted the original number, thought to be over six hundred in total. Theories abound as to why the seventh Prince felt compelled to populate his garden with so many grotesque caricatures. Francesco Ferdinando may have been railing against Mother Nature who had not blessed him with Hollywood looks. It seems his wife found solace in the arms of more than one lover and the rumour spread that each new sculpture was born of jealousy; a satirical jibe from the cuckolded husband. Prince Gravina has also been portrayed as an eccentric loner obsessed with esoteric pursuits, which would account for some of the more obscure ancient Eastern references in the sculpture. The German writer, Johann Wolfgang Goethe, was convinced the answer to our conundrum lay in madness – a mind that gave free rein to a passion for deformity. Henry Swinburne, the eighteenth century travel writer, was one of the first to note how the softness of the stone would see the Prince’s legacy gradually erode into dust – a fate he was not inclined to lament: ‘I was in a hurry to leave this world of monsters, which almost made me giddy.’ Our modern perspective, saturated with imagery, is more inclined to celebrate the unusual and welcome anyone brave enough to step off the well-trodden path. During the Prince’s life-time and in the years following, the local women were afraid to look the statues in the eye, fearful that their glance would have unfortunate consequences for any unborn offspring. All deformities at birth were blamed on the evil influence of Francesco’s gargoyles. Prior to Patrick Brydone’s visit, the local government had even given serious consideration to demolishing the statues but, as the writer points out, Gravina was thought to be so inoffensive and charitable that such an action would have broken his heart. The curse was to strike again many years later in 1948 when the carabinieri were pursuing men associated with the bandit Salvatore Giuliano. Shots were fired into the dark shadows of the Villa’s garden where the men were hiding; daylight revealed that the five-eyed goblin at the entrance was glowering down at the dead body of a policeman. Leaving behind the statues along the perimeter, we passed a stone bench at the foot of the grand staircase leading to the main entrance of the house. Prince Gravina, forever frozen in time, stares out blankly from the frieze above the bench - a location much favoured by the Magnum photographer, Ferdinando Scianna, whose most famous image of the Argentinean writer, Jorge Luis Borges, was taken on this very spot. The stairs flank the archway that gave access to horse and carriages, arriving for one of the many balls hosted by the Prince’s wife. They sweep elegantly to a balustraded platform in front of the grandiose doors. A bocca della verità (mouth of truth) gapes forebodingly, hungry to be fed with the anonymous misdemeanours of the local aristocracy! The vestibule is decorated with trompe l’oeil frescoes depicting the Labours of Hercules and the doorway to the spectacular mirrored ballroom has a sobering message for all who enter, which translates as: See your reflection in the glass and contemplate in its magnificent splendour the image of mortal fragility that it expresses. Sadly, the glass has been so mottled with age that it’s difficult to contemplate any reflection – the true fragility of time. The ceiling mirrors, however, are still intact and the magnificent marbled walls and floors make it a short leap of the imagination to conjure up the decadent delights of the past. We can even see Francesco Ferdinando huddled in a corner, with a jealous eye on those more favoured in looks and personality. It is still rumoured that his eccentric decoration extended to the furniture; plushly covered seats hid spikes to surprise the unwary. Hindsight could hail the villa as a surrealist masterpiece worthy of the likes of Dalì. One famous local artist, Renato Guttuso, now buried in the grounds of his own museum in Bagheria, took inspiration from the Prince’s sculptures. Best known in the United Kingdom as the illustrator of Elizabeth David’s Italian Food, he painted one of the archways bedecked with statues looking down on the equally prickly pads of an Indian Fig. 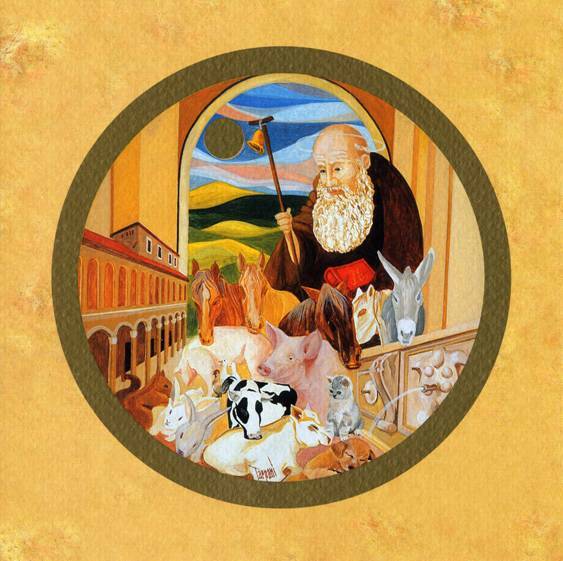 His painting is a lasting testimony to our enduring fascination with Francesco Gravina’s imagination. A great range of wines combined with a friendly atmosphere. Patrick and his wife are always welcoming and make their customers feel at home straight away. A hidden gem away from the hustle and bustle of the touristic areas. The Enoteca Wine Club is located in the little town of Umbertide in Umbria. 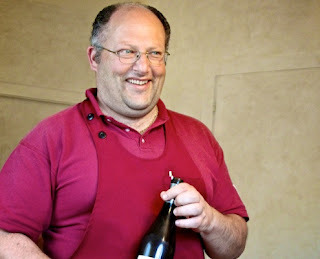 "Patrick Piccioni is the sommelier and host. Antonella rules the tiny kitchen, and sometimes their son will help out serving dinners. Absolutely a family affair." 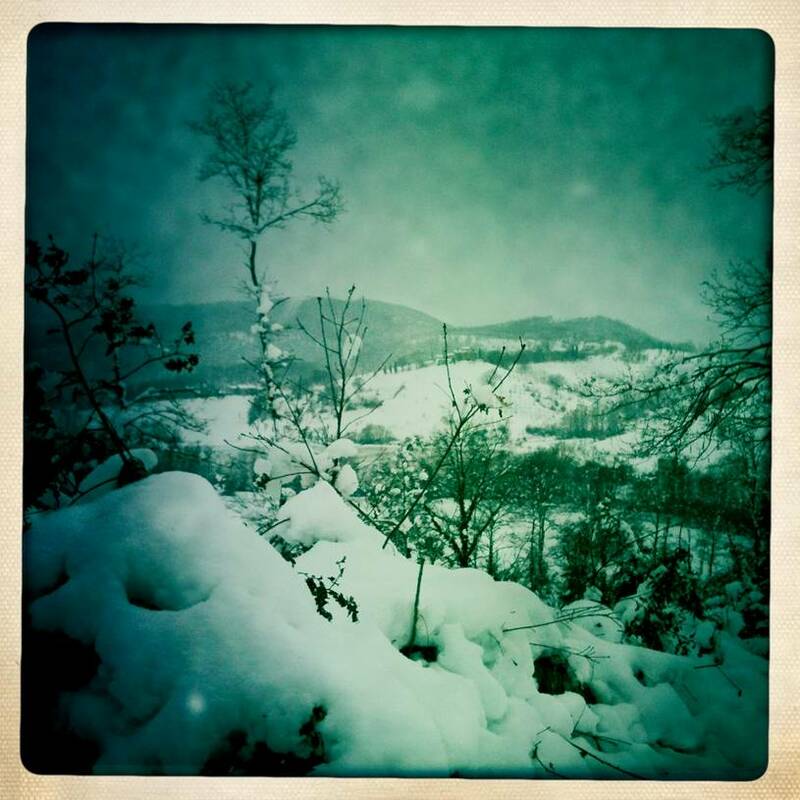 (Judith Klinger). Rules on wealth tax due by owners of real estate properties located in Italy have been significantly changed. The new tax is called “IMU” (the Italian acronym for “Unified Municipal Tax”) and will replace the old “ICI” tax (the Italian acronym for the “Municipal tax on real estate”) starting from January 2012. The basic rate for IMU has been set at 0.76 percent per year on the value of the real estate. The taxable value for IMU is calculated based on the cadastrial values – i.e., standard values – attributed to each property in the official register. Furthermore, wealth tax is now due also on the individual’s main abode. This tax had been abolished by the former Berlusconi government, but has now been reintroduced. For real estate owned as one’s main abode, local municipalities can reduce the wealth tax rate to 0.4 percent, and allow a flat deduction up to EUR 200. Starting from 2011, for any real estate properties held abroad by Italian fiscal residents, the government is introducing a new wealth tax of 0.76 percent per year on the value of the property. Taxable value is equal to the purchase cost, as noted in the purchase contract, or, in the absence of this, is equal to the fair market value of the property. Taxpayers will be able to claim a tax credit equal to the amount of wealth tax already paid in the country where the property is located.